Osaka and Hyogo Pre. have a lot of popular spots of Kansai-area. Kansai-area has various events such as red leaves and festivals in autumn. 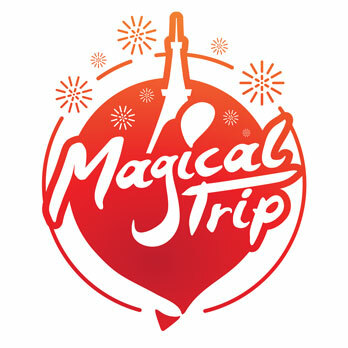 There are not only traditional events, but also modern arts and events enjoyable with kids. We picked up the recommended events to be held in October, so why do not you visit them when you visit Kansai? There are lots of recommended spots in Kansai in autumn! Himeji Castle Nishi-Oyashiki-Ato Garden “KOKO-EN”, which is a new cultural place dedicated to preservation and utilization of the cultural heritage with approximately 33,000㎡ of Japanese garden, was built as the 100th anniversary of the municipal system. “KOKO-EN” is about 33,000 ㎡ of full-fledged Japanese garden whose scenery integrates the view of the World Heritage Himeji Castle. It consists of nine gardens, such as Oyashiki-no-Niwa, Tea-ceremony room, Cha-no-Niwa, etc. The garden that embodies Edo’s emotions is used as a location for a historical drama. In the garden, Moon Viewing Party is held at the time of the harvest moon. 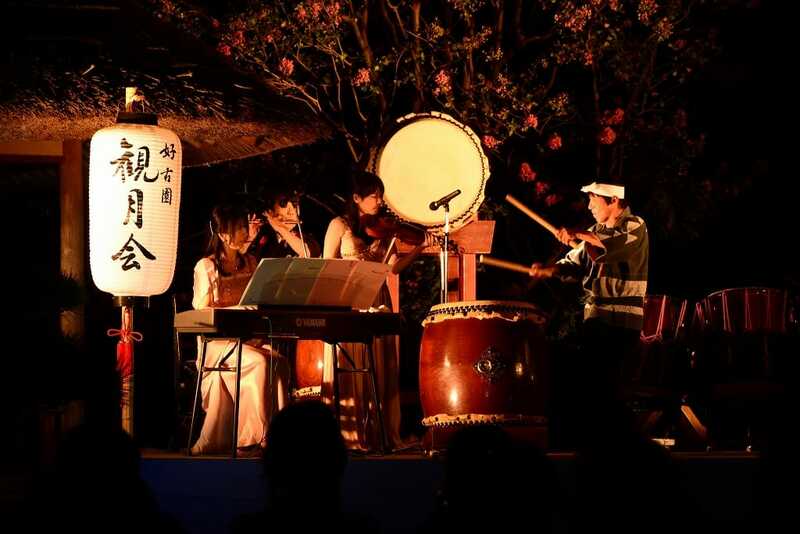 On that day, in addition to lighting up each garden at nightfall, performances of Japanese musical instruments and the moon view tea ceremony will be held. The moon viewed comfortably in the Japanese garden is exceptionally beautiful and fantastic. Why do not you keep in mind the beautiful moon in autumn, forgetting the daily hustle and bustle? A party to see the moon is held in Himeji Castle near there. In addition to the shops where they sell the local foods, you can three glasses of sake by 500 yen and they sell the local sake, you can enjoy a variety of events such as Japanese drums in Himeji castle. After having enjoyed the moon at KOKO-EN, it might be a good idea to take a walk around Himeji Castle on the moonlit night. *When rainy, it will be held on October 5th. 68 Honmachi, Himeji-shi, Hyogo Pre. Osaka Castle, which was built in Azuchi-Momoyama era, is a Japanese castle remodeled in Edo era, and currently located in Chuo-ku, Osaka city. Another name is “Kinjyo.” It is designated as a special historical site of the country. 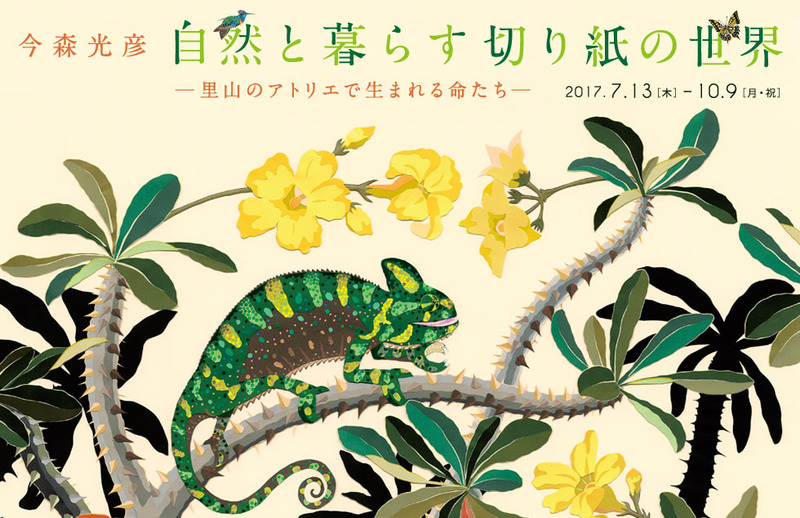 At Osaka Castle, the summer exhibition on the theme of the period from Toyotomi to Tokugawa is “From Toyotomi to Tokugawa …”. Toyotomi Hideyoshi put an end to the Sengoku period, bringing peace and security to the country. However, the reign of Toyotomi did not continue for a long time, and the Tokugawa shogunate had the right to rule. 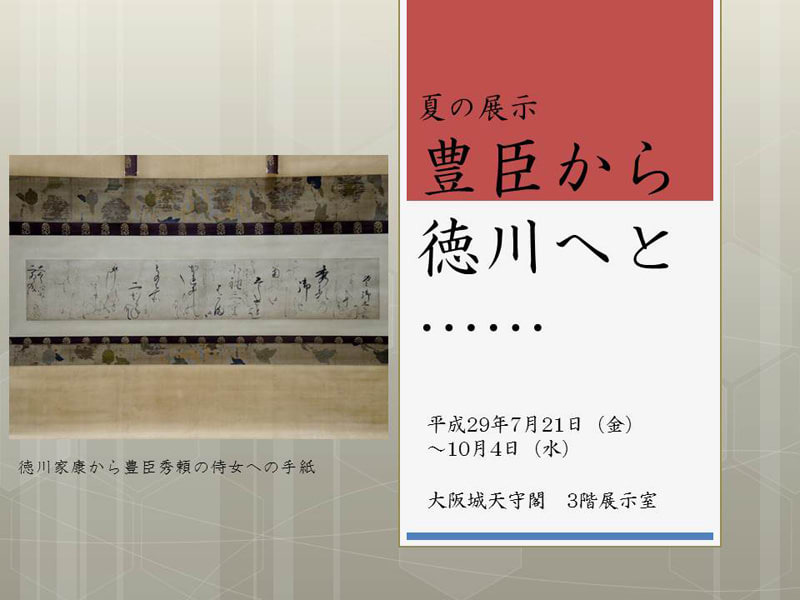 The exhibition “From Toyotomi to Tokugawa …” is a valuable opportunity to see human drama occurred in a major turning point of the system with first-class historical materials. What kind of drama was occurring during the period of “From Toyotomi to Tokugawa …”? While looking at these materials, let’s unravel the history of Japan. Akashi-kouen is as urban park built around Akashi castle ruins, which is managed by Hyogo prefecture. “Akashi Castle” is a castle built by Ogasawara Tadazane, who was the great-grandson of Tokugawa Ieyasu, ruled Akashi, Miki, Kako and Kato’s 100,000 koku. In the garden of 54.8ha, it is equipped with baseball stadium, athletics field, athletic facilities such as archery field, cultural facilities such a prefectural library and a municipal library. It is also chosen one of the “Sakura’s 100 favorite sights”, and it is also known as the cherry blossoming spot where about 1,000 Yoshino cherry trees are in full bloom in the season around the time. 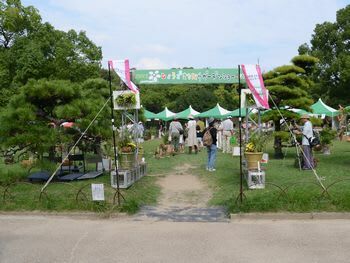 “2017 Hyogo Machinami Garden Show in Akashi” will be held with the theme of “a heartfelt city planning with flowers and greenery”. Demonstration gardens exhibited by companies, schools and organizations with excellent gardening techniques, gardening counseling, guided tour of exhibited works, including the garden competition exhibiting ordinary open work such as group planting, hanging basket, flowerbed photograph etc , experiential events with the theme of nature, seminars on flower and green community development, etc. are held, crowded with families. 1-27, Akashi-koen, Akashi-city, Hyogo Pre. Kinosaki-Onsen faces the Sea of Japan in the northern part of Hyogo Prefecture, spreading along the tributary, Otani River of the Maruyama River. It is also a place that was loved by many writers and artists, and got to be known for its name in Japan as the stage of the novel “Kinosaki nite” by Shiga Naoya..
“Taiko Bridge” and the weeping willow over the Otani River will make you feel the hot spring emotion unique to Kinosaki. The street of the town is relaxing like a hot spring town, and it is full of the atmosphere that makes you want to take a walk. Why do not you enjoy the moon at Kinosaki-Onsen? 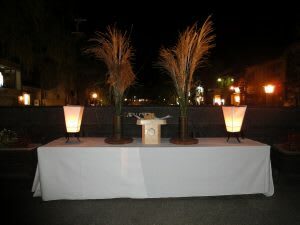 While weeping willow is lighted by the light of the moon, let’s enjoy strolling in the hot spring town full of emotions, cooling off in the evening. Yushima, Kinosaki-cho, Toyooka-shi, Hyogo Pre. Speaking of chestnuts, it is “Tamba chestnut”, and Tamba chestnut that can be taken in the Tamba region of Kyoto is so famous. Tanba-kuri is not the name of the cultivar, but the name that refers to the large chestnuts that can be taken in this region. The climate of Tamba is suitable for cultivating chestnuts. Thanks to repeated improvements, climates such as the dense fog unique to the Tamba district, and thanks to farmers’ efforts, Tamba chestnuts are said to be the best flavor of chestnuts in Japan. Because of the great taste, Tamba chestnuts dedicated to the court and the shogunate spread its reputation, spreading throughout the country through the participation of Sankin-kotai. “Tamba chestnut eating walk fair 2017” to appeal that big sweet Tamba chestnuts will be held at the shops and the chestnut gardens in Sasayama-city and Tanba-city. We can enjoy various wide variety of sweets, cuisine etc. of Tamba Chestnut in autumn of Tamba area. Why do not you go and see that taste? Imamori Mitsuhiko, who is familiar with nature as an “animal boy” from a young age, and still lives while taking care of rice field and forests in the mountain. In this exhibition, over about 250 latest works such as the selected photographs and cut paper born at his studio in the mountain will be displayed, touching Mr. Imamori’s life & fashion close to the rich nature and the change of the four seasons By his works that increased its beauty and delicacy, kindness and strength, you may feel the original joy and peace of being familiar with nature. Imamori Mitsuhiko was born in Otsu-shi, Shiga Prefecture in 1954. After graduating from university, he studied photography technology by himself and became freelance photographer from 1980. Let’s feel the rich sensitivity raised in nature from his works. Kobe Port is a port in Kobe City, Hyogo Prefecture. It is designated as an international strategic port under the Port Law. It is one of the major international trade ports in Japan (the five major ports) and has received designation of super central port together with Osaka Port. In the event to be held at Kobe Port, a popular pleasure boat “Kobe Sea Bus Fantasy” will be operated as a boat for seeing the art. You can enjoy three-dimensional works and installation arts that change the expression every moment by moment depending on time and climate, exhibited against the background of Kobe’s townscape and the mountains of Rokko. Works by artists from Gwangju, Korea, Asia’s largest biennale, friendship city Tianjin City “Feitai art center” are also planned to be exhibited. Also, in the terminal where a large passenger ship enters and Kobe Airport, the video works will be displayed. That is how the unique art festival like Kobe will be held. Let’s check the event you can enjoy art as well as the history of Kobe. The opening hours except it depends on each facility. 7-1, Hatobacho, Chuo-ku, Kobe-shi, Hyogo Pre. Tamba is a city located in the middle east of Hyogo Prefecture. The northeastern part of Tamba adjoins Fukuchiyama-city, Kyoto. In 2017, as an exhibition commemorating 30 times, “General Department” exhibits works with the theme of the number “30”. Free works and entries from “Junior Department” are also introduced. The playful handmade works made of human-friendly wood, from works along the theme until free works, melt the hearts of the viewers. The shape of the figure 30 seems to be soft, and it is interesting to see what kind of work is there. It is an exhibition that we can touch the warmth of wood and the pleasure of making things using wood. Let’s experience the warmth of wood. 102-3, Kaibarachotaji, Tanba-shi, Hyogo Pre. “Universal Jump Summer” is an event that realizes the collaboration with “Weekly Shonen Jump” magazine and that makes adults enjoyable. The popular works, including the special version “One Piece” which celebrated the 10th anniversary of the holding, “Dragon Ball” which increased power, and “JoJo’s Bizarre Adventure” “Gintama” newly participated. In the collaboration, you can enjoy the various contents that can experience the world of Jump’s works. Real Live Show “One Piece Premiere Show 2017” that exceeded the cumulative number of one million people will be performed, as well as a real and sublime air battle “Dragon Ball Z · The Real 4-D” powered up. Let’s go to the event which will be held at overwhelming quality and scale, with its scale and period expanded dramatically. Anime fans must see!? Time varies according to the attraction. For details on the website. 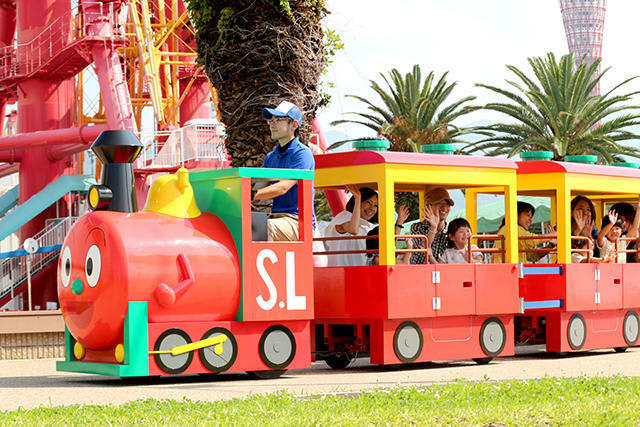 In “Kobe Anpanman Children’s Museum & Mall”, Road train “SL Man” is running for the limited period. During the period, you can ride “SL Man” running around the museum, and you can fully enjoy the Anpanman World. It is a lot of fun inside the museum. You can put in “Anpanman-go”, a big slide, a corner where children can play in the bakery of “Uncle Jam” and Yanase Takashi Theater (you can see a show). There is also a square that you can play with “Anpanman balls”, and a corner where you can experience handmade experiences, and it is a space where children can enjoy without getting bored. Of course, adults can also take a break if you get tired. A cafe that can take a break is also set up. Our recommendation is “Yanase Takashi Theater” where Anpanman etc. actually appear. It is a stage of about 15 to 20 minutes, but it is an event that you can enjoy with parents by children dancing to Anpanman’s songs and daddy participating in songs. Why do not you enter the museum and enjoy Anpanman with your kids, as well as ride “SL Man”? 1-6-2, Higashikawasaki-cho, Chuo-ku, Kobe, Hyogo Pre. To get on, you need a ride numbered ticket to get in the museum hall.